In this Episode you’ll hear from Kevin Young. Kevin has been a CEO for over 13 years and is currently the Managing Director of Sydney Water, Australia’s biggest utility with turnover of over $2.6Bn and more than 2,500 employees. 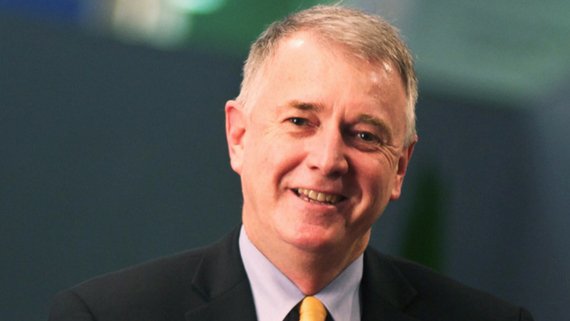 He is also the former MD of Hunter Water and sits on the board of Wateraid International. In this episode Kevin outlines how to seize the future, be proactive and take risks and this will help you be successful in the modern business world. A manager is someone who achieves things through others. Deciding who is on the bus. And you've got to decide before you know where the bus is going. To pick the people that are going to be with you on the journey. And decide where you're going together. When you're acting up in a role don't make the mistake that this is part time. Act as if you have the full authority of the role. It is full commitment. Unlocking human potential is what will keep you excited everyday. Have a reputation of working well in teams and getting things done. No triangles. If two people keep coming to you with their problems with each other get them together in a room to talk and remove yourself from the conversation. It's not about the technical. It is always about the people. Even in the worst problem there is always a solution there waiting for you. Kevin nominated www.wateraid.org for his charity and I have donated $250 in his name.